"Great hat that’s real bunny soft. Will match a white coat with black buttons. Thank you." 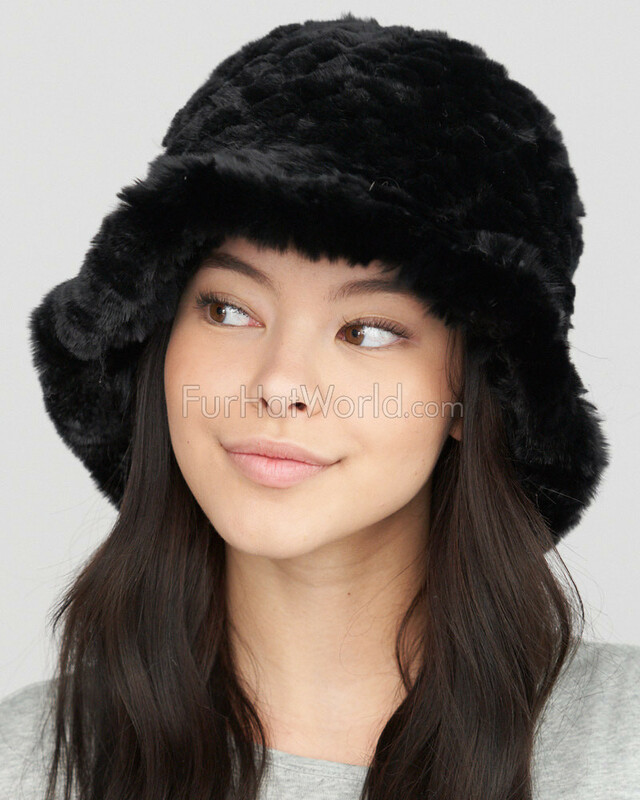 "This hat was purchased for when I travel to cold weather. It was exactly the way it was promised. it is beautiful and fits very well, I love it. If you had any reservations about doing business with FurHatWorld, don't. 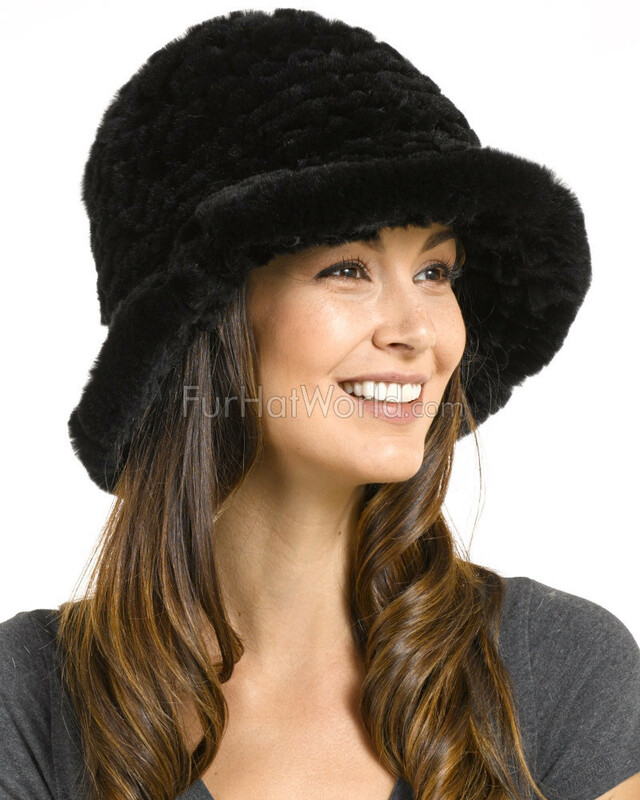 They delivered the hat in a very timesly fashion and the quality of their products is fantastic." "I just received it and excitedly opened the box to see it and try it on. It is beautiful! At first I thought it looked too small, but when I tried it on, it was perfect. It hugs the head perfectly so that it stays in place. It's super warm and soft. 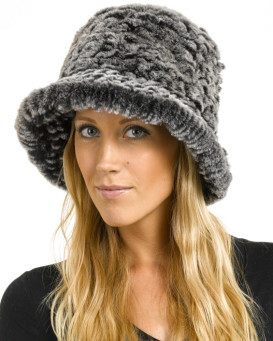 As a Mainer, this will become my new winter staple. Bring on the next arctic blast!" "Softer than soft. Fur inside and out was a happy surprise. Came in a box wrapped beautifully. Came quickly as I paid for 1-2 day delivery and was not disappointed. Just a tad large for my head (I'm 5ft 2), but Christmas was below freezing and my head did not feel the cold. I expect to wear this hat for years to come. An amazing value and nothing is available like it here in brick and mortar stores. Thanks Canada!" Sandra from Salmon Arm, B.C. 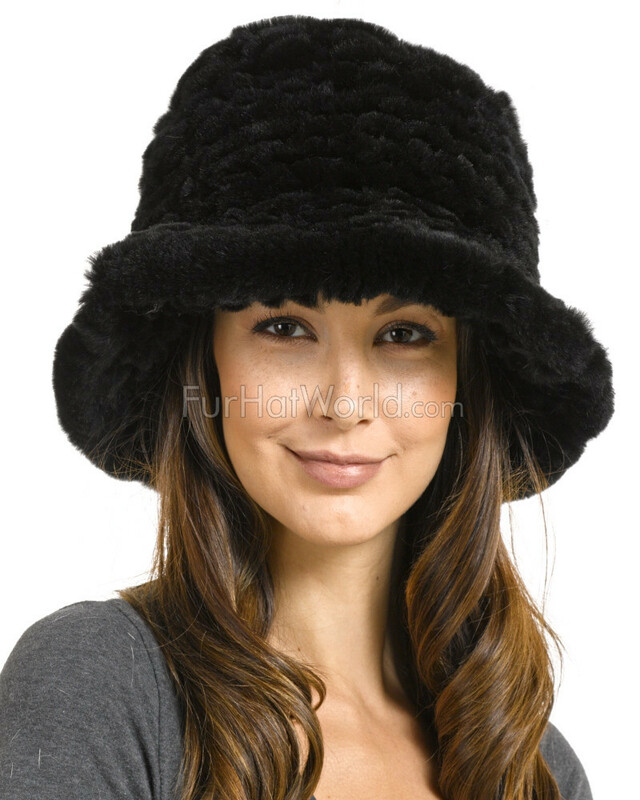 "The hat is classy and timeless. It looks great on me as many hat shapes don't. It's light, warm, crushable and soft, and the underside is also made of rabbit. This is a piece of clothing that is suited to pass on to the next person who will wear and appreciate it." "My wife loves the hat. It looks really good and fits good. It's soft inside and out and comfortable." "Love, love,love! Fits beautifully, warm and stylish! Recommend highly!" "What you see on the picture is what you get. Love the feel of the fur. Love the design, it's a bit huge to my liking on me but that's what the picture shows. 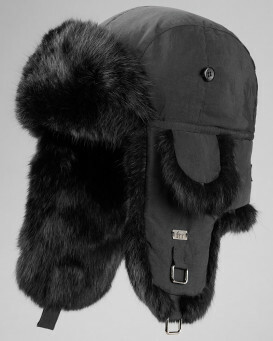 For sure it will serve its purpose when I go to Vienna in the winter. Fast free shipping is a plus!"